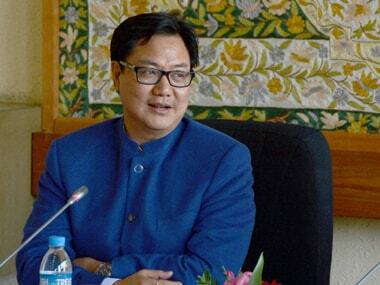 New Delhi: An Indian delegation led by Union minister Kiren Rijiju will participate in the Asian Ministerial Conference on Disaster Risk Reduction (AMCDRR 2018) to be held in Mongolia from 3 July. The four-day meet in Ulaanbaatar is expected to host over 3,000 delegates and participants from Asian and Pacific countries, governmental and inter-governmental organisations, the United Nations and other stakeholders, an official statement said on Sunday. 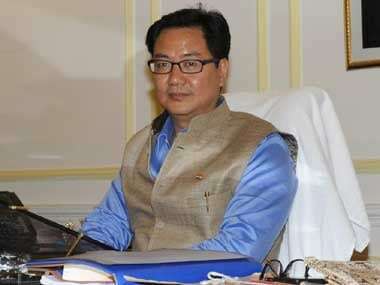 Rijiju, the Union Minister of State for Home, will present the country statement on 4 July and chair a technical session on disaster risk reduction, it said. PK Mishra, Additional Principal Secretary to the prime minister, will co-chair a session on 'strengthening disaster-resilient infrastructure and urban resilience on 5 July. Kamal Kishore, member, National Disaster Management Authority, will be a speaker at the same event and RK Jain, member, NDMA, will present a case study on heat wave during a technical session. India will also organise a side event during the AMCDRR on cultural heritage and disaster risk management, the statement said. Participants from private sector/the Federation of Indian Chambers of Commerce and Industry (FICCI) will attend an event being jointly organised by the Mongolian Chambers of Commerce and the FICCI. Some Indian companies are also expected to present their firms' activities on disaster risk management, it said.